The Amy Gillett Foundation welcomes important new statistics from leading Australian researchers that examines trends in bike riding fatalities. The study by University of New South Wales researchers Soufiane Boufous and Jake Olivier examines trends in cyclist fatalities in Australia between 1991 and 2013 compared to fatalities among other road users. The research also looks at trends in single and multi-vehicle crashes and age distribution of bike rider fatalities. Overall, cycling fatalities decreased by 1.9% annually between 1991 and 2013. Overall, cyclist deaths decreased steadily from 58 deaths in 1991 to 33 in 2012 with a marked increase to 50 deaths in 2013. While deaths following multi-vehicle crashes decreased at a rate of 2.9% per annum, deaths from single vehicle crashes increased by 5.8% per annum. Over the study period, the average age of cyclists who died in single vehicle crashes (45.3 years), was significantly higher than cyclists who died in multivehicle crashes (36.2 years). The average age of deceased cyclists increased significantly for both types of crashes. 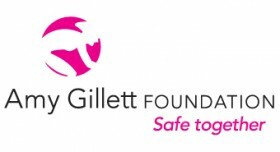 Amy Gillett Foundation interim CEO Belinda Clark said the study added an important layer of evidence which will assist in the AGF’s efforts to reduce bike rider fatalities in Australia. *Exposure data refers to the details of people’s use of bikes: for example, the number of trips taken in a week, the distance travelled (km), duration of trip (time) or route choice.